Dan Absalonson | Author of SciFi & Fantasy: The Case of the Missing Snowman UPDATE! The Case of the Missing Snowman UPDATE! 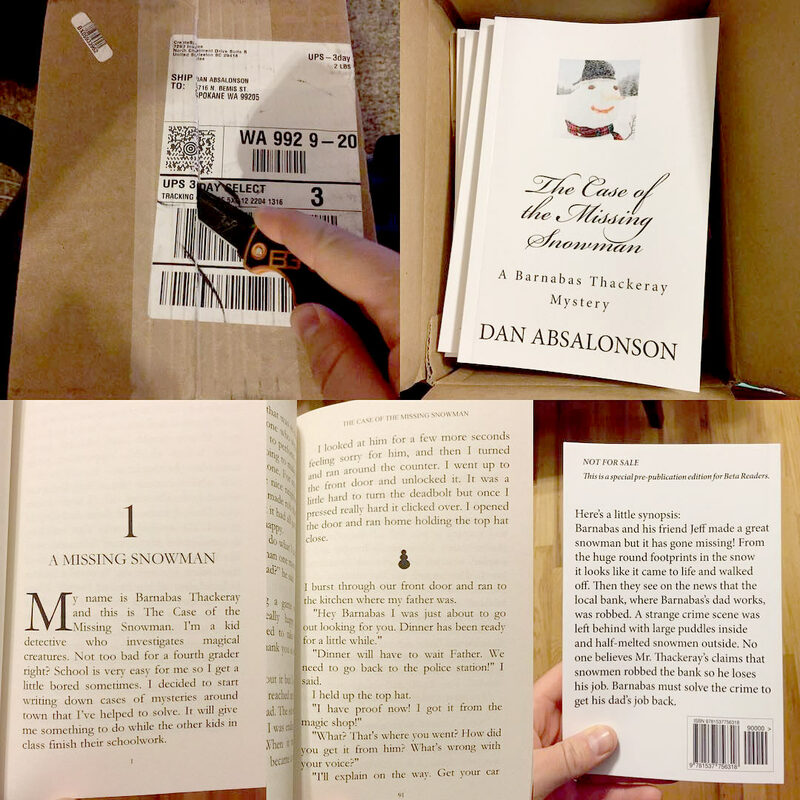 My new book "The Case of the Missing Snowman" is out with beta readers! 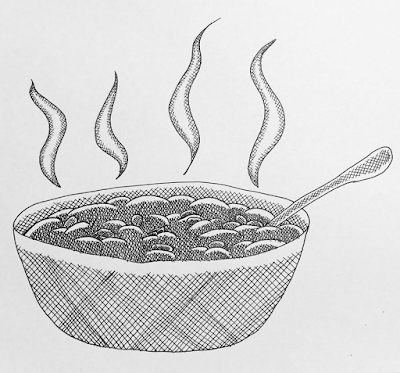 As I wait for their feedback to roll in I'm creating more illustrations for the final version of the book. It will have a very different cover than what you see in the photos below. I just made that real quick with a template to get those books printed so I could hand them out to beta readers and get some feedback on my story. Once they've all gotten back to me and I've finalized the story I'm going to give it to a few people for editing, and then get all of the illustrations finished and put in the book. This is a short book but it will end up being one I have put a lot of loving work into with all of the illustrations. I posted the two I have done below as well. I'm so excited about it! Thanks for stopping by! Click on the image to see at a larger size! Jeffrey running to get on the bus! Click for larger size! 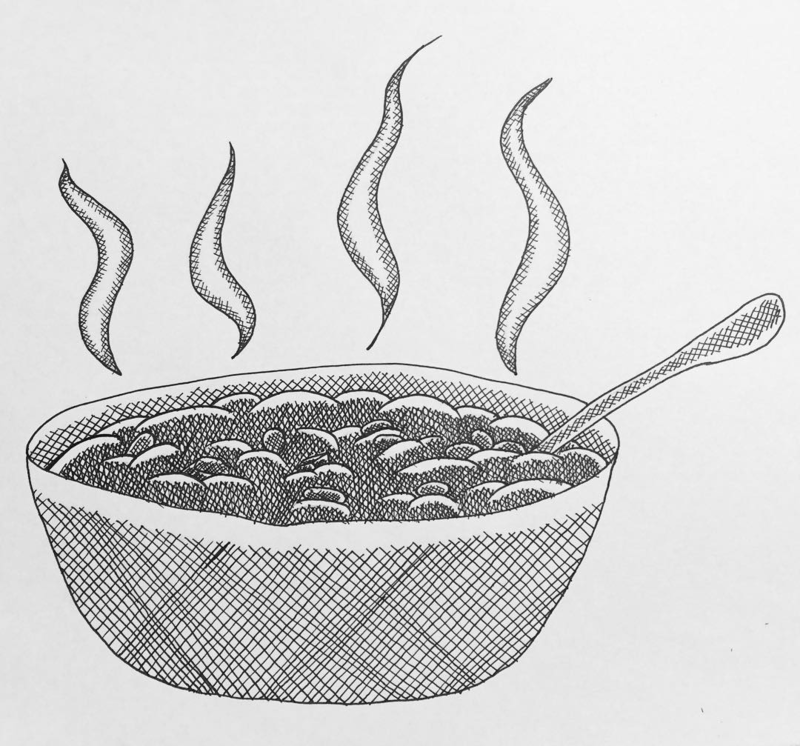 A hot bowl of chili!